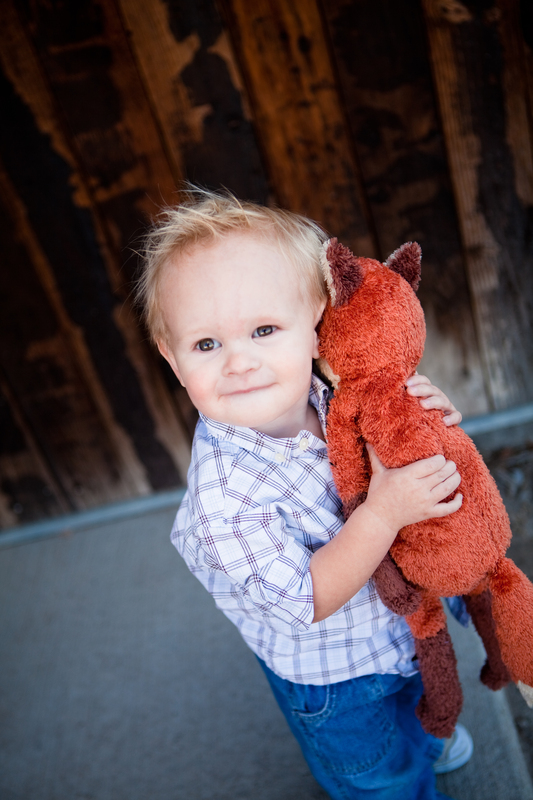 Right after Evan was born, Jarom’s grandma took us shopping at Ikea and got us, among other awesome things, a stuffed fox. It was so cute and photogenic that I took a lot of pictures of Evan with it when he was little, and then I brought it with us to our first family photos later that year. I honestly just forgot that time. It didn’t even cross my mind. 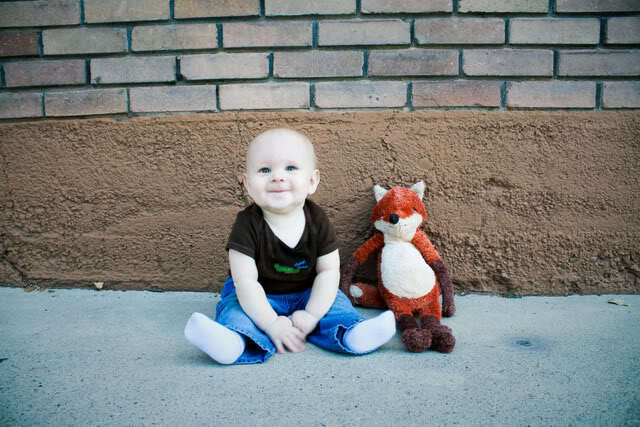 We also didn’t bring the fox with us to the hospital when we had Christian. I should have, as it would have been something that each kid had a picture with. Again, didn’t even cross my mind. But then a few months ago, I got to thinking… what if the fox is Christian? Not literally, of course. That would be weird. What if the fox in our pictures is there to represent Christian? That’s why no fox in 2012 – I was pregnant at the time. That’s why no fox at the hospital – Christian was there himself. 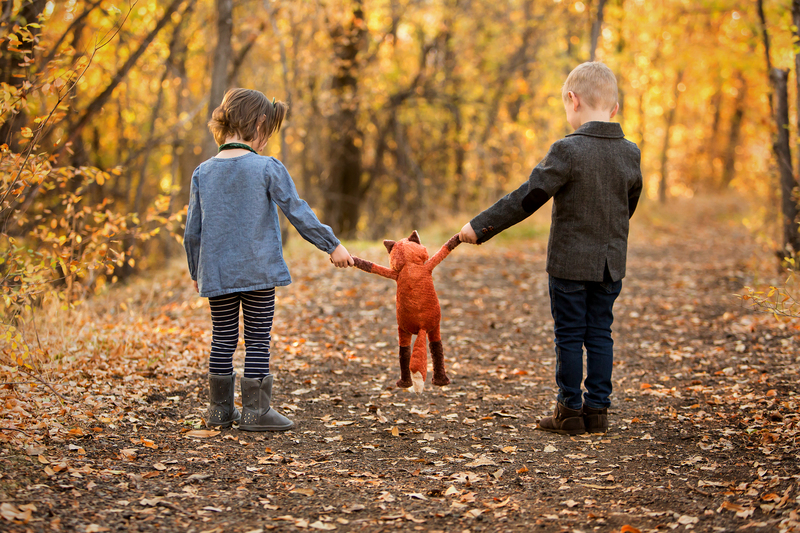 So this year, we took the fox with us for family pictures, knowing it was there to stand in for Christian. I love (nearly) everything about this. 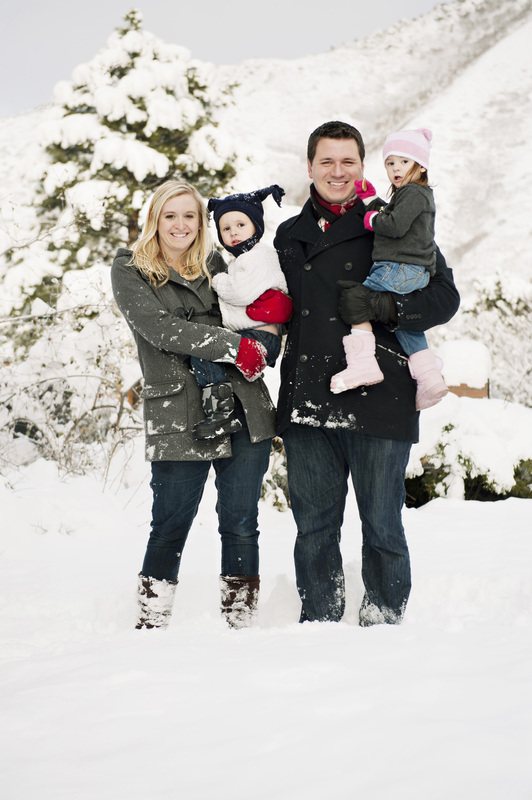 Everything except for the fact that Christian can’t just represent himself in all your family pictures. I think it is a wonderful way to include him. Fine. Bring me to tears. Love it! 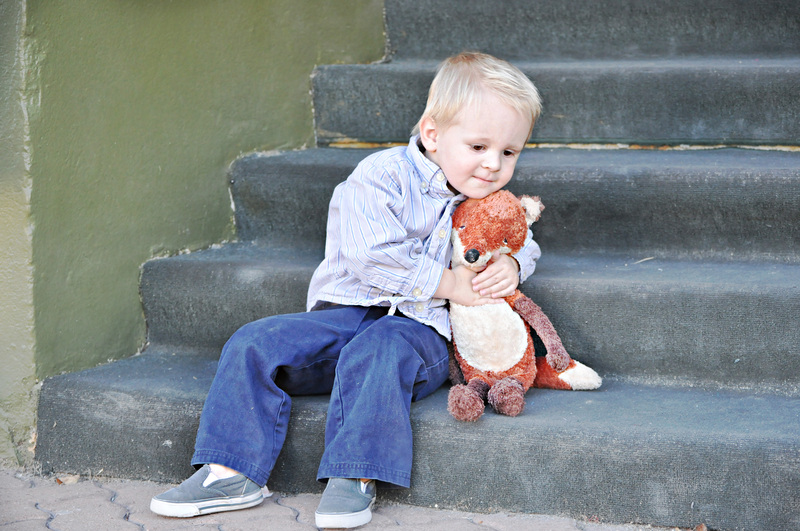 I have a friend that had a stillborn baby and uses a stuffed puppy to represent her in her family pictures. I love that they use it to help remember her.